Our detailing maintenance services at Scarboro Mazda are designed to restore the look of your vehicle, preserve its resale value, and protect its paint or interior. At Scarboro Mazda, we'll help you restore the look of your Mazda and keep it looking new for years to come. When you see your vehicle after it’s ready to leave our Detailing Centre, you will always be surprised and more than satisfied with the results. We can help you protect your paint as well as prepare your car for the upcoming winter season. Once spring returns, we will be able to thoroughly clean the body and cockpit as well. At Scarboro Mazda, we use only quality products and the latest detailing care technologies to ensure the quality of our work. At Scarboro Mazda, our maintenance packages will meet all your needs and help you save. 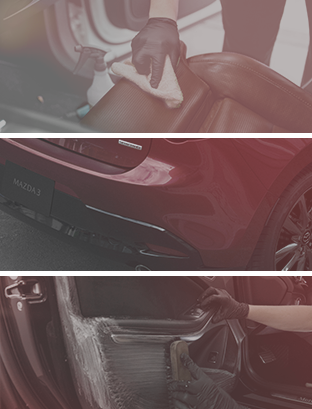 Visit Scarboro Mazda to discover all of our detailing maintenance products and services.